I self-admittedly love beauty products, beautiful things, incredible smells and creating wellness habits that are good for your home and your soul. Babe Brigade was founded on the idea of lessening the toxic load in your home, celebrating wellness and empowering you as a BABE to care for yourself and your family with the very best and beautiful things from the earth. I lead a team of passionate women who want more for their lives and their wellness. They are looking to replace toxic chemicals in their cleaning, body, bath and beauty products that are filled with heeby-jeeby worthy ingredients and endocrine disrupters. They are looking for a "first line of defense" to care for their health instead of always reaching for OTC drugs. They are looking to support their emotions and mental health. They are women, mothers, wives, sisters, best friends, entrepreneurs, students, smart, beautiful...BABES! When Jon and I decided to start our family I was immediately interested and more aware of what I was bringing into our home. I had started to become passionate about replacing everyday items with non-toxic options and I was SUPER curious about essential oils. Sounds like a dream, right?! Let me let you in on some scary truth. That bottle of EO you picked up from the grocery store to make some DIYs and scent your home, can be filled to the brim with fillers and "other ingredients". Despite saying "Pure" or "Aromatherapy" it can actually be filled with the very opposite, why? Because regulations on EOs are non-existent. It literally took me months to decide on an oil company that I felt like I could 100% trust for my little ones and for my home. DoTERRA won my heart not only with their philanthropic and servant hearts through their Healing Hands Foundation and Co-Impact Sourcing but because their oils are the purest, most-tested, certified pure, therapeutic grade. All of their oils are sourced indigenously where each plant is in it's prime and due to soil, altitude, temperature and location...it's chemical compounds are at it's very best! DoTERRA creates partnerships with farmers and distilleries all around the world giving them fair wages and going into their communities to build schools, clinics and wells so they can thrive! So not only are your DoTERRA oils coming from the very best places but they are safe, pure and rigorously tested. One of these rigorous tests is done by a third-party, unassociated with DoTERRA. Wanna know something cool? If you type in the ID number at the bottom of your bottle over on SourcetoYou.com it will pull up the third party testing results from YOUR bottle of oil. Our testing is completely transparent which gives me a huge peace of mind! So think about it, essential oils that are safe enough to grace your skin, to help you feel empowered, alive and glowy and like a babealicious goddess?! Yas queen!! The "swiss army knife" of oils. So good for sleep support and especially amazing for your skin and beauty routine (hello, amazing lashes!!). This is one of my top oils for little ones too! This oil is beautiful for ANY skin issue and is so soothing. The "king of oils"! 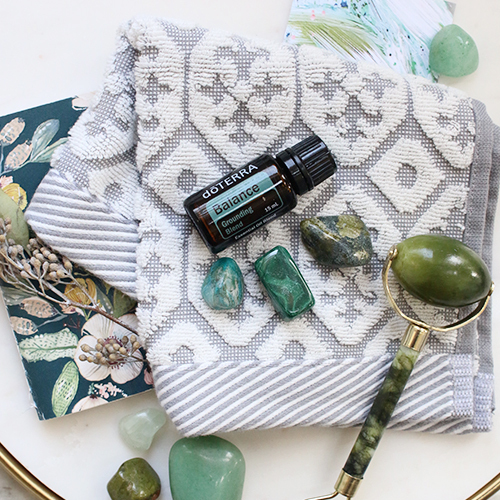 Frankincense is good for EVERYTHING and one of the top oils to have. It's incredible for mental, skin, and body system support. It's one of my very favorites to have for little ones. Also, add just a drop to your fav moisturzier for anti-aging goodness. You're welcome! Peppermint is amazing for head tension, sore muscles, upset stomach, bad breath. I LOVE using this oil for energy. Just add a drop to a hot cup of water for an energy boost! Also, ask me how to take a shot of peppermint, it's the best. Another amazing multi-use oil! Lemon is another oil that is GREAT for cleaning. It acts like a natural goo-gone too! I love adding lemon to my water each morning to boost my metabolism and help cleanse my body of icky chemicals and balance my PH levels. It smells like heaven too. The immune boosting, funky-gunk fighting oil of your dreams that smells like Christmas! I've replaced 90% of the cleaners in our home with OnGuard. We use it during the icky seasons of the month ALL the time to boost our immune system. LOVE this oil! Balance smells like the forest. It's rooting and grounding. It's one of my very favorite support oils for stress and anxiety. SO many of my friends use this oil to support their emotions every day. It's calming and powerful. 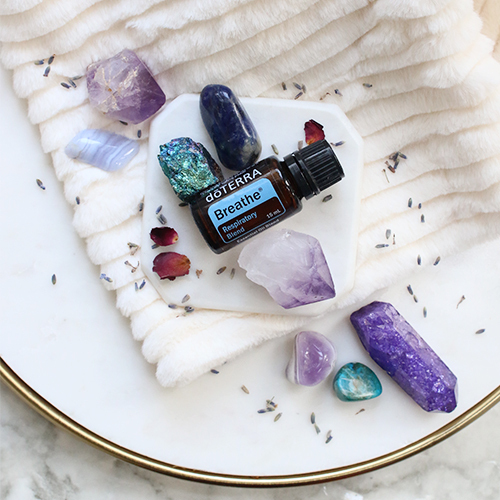 Not only is this oil beautiful for those that need an "emotional breather" but this oil is an incredible support for congestion and breathing issues. I love putting a few drops of this in a hot shower and rubbing on my chest before bedtime. Has a beautiful eucalyptus smell too! My favorite oil of all time. Copaiba has BCP, also found in cannabis. Its soothing, relaxing, great for sleep support without the psychoactive effects. This is also one of my favorites for a racing mind and anxiety support! PLUS TONS of other beautiful OILS AND BLENDS TO EXPLORE!! Ready to join 100's of others on the Babe Brigade team?? The heart of my team isn't to get you to "sell oils" or to buy lots of stuff, but my heart is to help empower you to use oils in your home and for your wellness! Because they won't do you any good getting dusty on a shelf. When you become a member, you not only get the incredible gift of oils, but you get to be part of our community and receive education, resources on how to actually use your oils and a Babe Brigade welcome pack from me! We have Facebook classes available and you'll be able to utilize me as your "oily guru" anytime! We also have a killer Facebook community that you'll love being part of! Contact me here for more information on getting started, you can also email me at hello(at)savannahkwallace(dot)com or click the "GIMMIE THE OILS" button below to grab your oils today! 2. Select "Join & Save" for 25% off anytime with your wholesale membership. FOLLOW ALONG ON @MAGICKALBABEBRIGADE FOR TIPS, RECIPES & DIYS!